Featuring 30 animal pieces and 5 different coloured laces, Animals Threading Toy is designed to teach children the fine art of threading, helping them to improve their co-ordination and concentration skills. The cartoon animals are bright and colourful; young children will love to thread for hours at a time and especially adore mixing the pieces up to create jumbled-up animals. 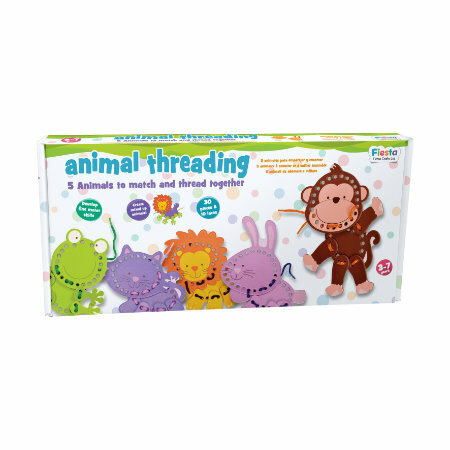 The Animals Threading Set is suitable for children aged 3 onwards.